CMIE report: The report mentions that that the compensation growth rate in 2017-18 was the slowest in eight years or since the Lehman Brothers crisis of 2008. 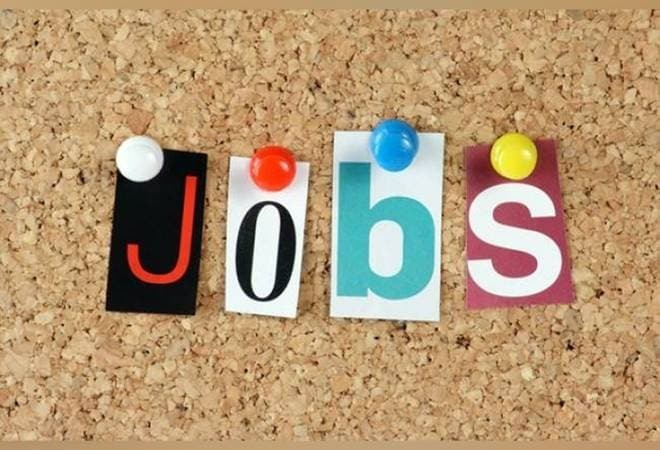 A Centre for Monitoring Indian Economy (CMIE) report reveals that there has been a decline in hiring in the corporate sector. The report attempts to look at how companies have fared when it comes to hiring and since unlisted companies are not required to reveal the number of people employed, the report looks at its proxy - growth rate of compensation. The report states that a growth in compensation reflects growth in head-count and wages. However, the findings in the report show that there has been a steep decline in compensation paid by companies to employees. The report that includes performance information on a sample of listed and unlisted companies of all sizes and industries showed how growth of compensation has steadily declined since 2013-14. The CMIE Prowess database shows that compensation to employees grew by 25 per cent in 2013-14 but halved in 2014-15 at 12 per cent. The compensation growth rate further fell to 11 per cent in 2016-17 and to 8.4 per cent in 2017-18. The report mentions that that the growth rate in 2017-18 was the slowest in eight years or since the Lehman Brothers crisis of 2008. At that time, the compensation grew only by 7.7 per cent. This trend points to the fact that new hiring has been on a sharp decline. Not only that, the Prowess database also shows that the corporate sector registered a fall in growth of fixed assets as well. In 2017-18 it was 6.9 per cent. Growth of investments into job-creating plant and machinery part of fixed assets was at 5.9 per cent. Both these rates were the lowest since 2004-05, mentions the report. The CMIE report mentions that the two declines in growth rate are connected. Lack of investments into fresh capacities is affecting growth in employment. Some of the growth in compensation to employees can be seen as the result of inflation. Since inflation has been lower in recent years, CMIE used the consumer price index for recent years and consumer price index for industrial workers for earlier years. The report mentions compensation to employees grew by only 4.6 per cent in 2017-18, which is lower than the average growth of 5.5 per cent in the preceding years. The report mentions that the inflation-adjusted compensation to employees grew at the rate of 5.3 per cent per annum in the four years between 2014-15 and 2017-18. It also shows that services sector has seen a very small growth in compensation in 2017-18. The services sector saw a growth rate of only 2.2 per cent as compared to the overall growth of 4.6 per cent. Within services, the report adds, it was telecommunications sector that saw a fall in real compensation - of 3.6 per cent. Information technology and air transport services were two other sectors that were affected. On the other hand, financial markets showed a healthy growth of 8.1 per cent in inflation-adjusted wages in 2017-18, while banks showed a growth of 6.5 per cent and non-banking financial services industries registered double-digit growth rates.